Fresh, clean, and simple! 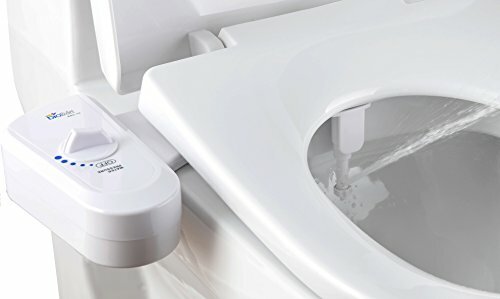 The Simplet BB170 easily attaches to your toilet to provide a feeling of refreshing clean after each use with no electricity or battery required. By connecting directly to your fresh water supply, the Simplet BB-70 provides a continuous water stream at varying pressures which can be adjusted by the P.S.P.C (Positive Stepping Pressure Control) selection dial. Newly upgraded with quality brass parts such as the new silver brass pressure control stem and silver brass ball valve as well as a unified ABS valve for added durability. Requires no battery or electricity. Comes with user-controlled stream of water feature and water pressure control. Warranty is only valid in the USA and Canada and Parts are only supplied to the USA and Canada. If you have any questions about this product by BioBidet, contact us by completing and submitting the form below. If you are looking for a specif part number, please include it with your message.